The FDA has recently released a public drug safety communication regarding the medication known as Invokana. Invokana is a relatively new drug that is used to treat diabetes. This communication from the FDA alerted the public to the potential link between Invokana and bone fractures as well as bone density loss. This potential link between Invokana and bone injuries is the latest controversy to develop surrounding this medication that is also growing in popularity. Previous issues related to Invokana included allegations that using it led to a higher risk of developing ketoacidosis. Invokana was originally approved for use in the United States by the FDA in March of 2013. It is manufactured by Janssen Pharmaceuticals, which is a subsidiary of Johnson & Johnson. Invokana was seen as innovative because it was the first of a new class of drugs that is known as sodium-glucose cotransporter-2 inhibitors, or SGLT2s. 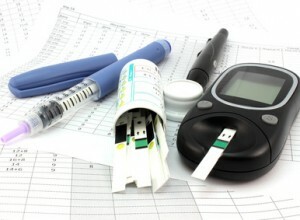 SGLT2s are different from previous diabetes medications in how they work. These medications prevent the kidneys from reabsorbing glucose back into the blood. This allows the kidneys to lower the amount of glucose in the bloodstream. This is done by inhibiting proteins known as sodium-glucose transport proteins. Given its innovative qualities, Invokana, which is taken orally, quickly gained in popularity across the United States. This popularity was reflected in its revenue numbers. According to several sources, Invokana along with its close relative Invokamet generated nearly $300 million in sales during the first quarter of 2015 alone. That represented a 40 percent increase from the fourth quarter of 2014 and nearly three times the sales from the first quarter of 2014. Unfortunately, it wasn’t long before allegations of Invokana side effects began to arise. As mentioned above, the first alleged Invokana side effect was a condition known as ketoacidosis. This is a dangerous condition that is associated with diabetes. It occurs when the blood produces high levels of acids known as ketones. The condition develops when your body cannot produce insulin, and it requires immediate medical intervention. The FDA previously issued a public statement regarding Invokana and other SGLT2s and their possible link to ketoacidosis. A link to that warning can be found here. The latest alleged Invokana side effects, as are also mentioned above, include a higher risk for bone fractures and a loss in bone density. Until recently, it was thought that using Invokana for long periods of time could lead to this higher risk of bone fractures. However, recent information reveals that it’s possible that these bone fractures could occur as soon as 12 weeks after beginning a prescription of Invokana. This new information prompted the public statement by the FDA, a link to which can be found here. If you or someone you love has used this medication to help with your diabetes and you’ve suffered as a result, you need to take action to protect your legal rights. Don’t delay in getting the justice you deserve! Contact Parilman Law today for your FREE CASE EVALUATION! Simply CLICK HERE or call us now at (800) 891-3884.